Billboard charts have long been one of the greatest and most recognized measures of success for musicians and their albums. But with the drastic changes in modern technology and how music is consumed, these valued charts are becoming more volatile and open to manipulation. 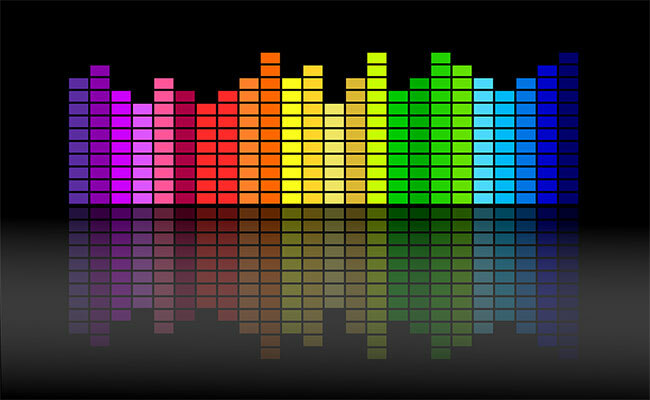 Historically, music charts were based on the only available data – album sales and radio play. We knew how many copies of an album sold and how many radio spins a single was getting. We could translate the radio play into estimated listeners, but that was as far as we could get. Today, technology has brought a much deeper transparency to the consumption of music, all the way down to a granular level. The internet and streaming provide per-listen data, through which we can see which songs are actually getting user attention and deserve more marketing. As a result, artists are adapting to this new normal and dropping multiple singles if their first one doesn’t get the desired traction before the release of their album. Some artists are releasing singles almost exclusively. To account for the continued growth of streaming, Billboard’s Top 200 album chart now incorporates streaming activity into its calculations, along with the traditional measures like sales. However, album sales are no longer the norm, and this has led to savvy artists influencing the charts through strategic bundling. Jon Bon Jovi successfully used this tactic earlier this year. Nearly a year and half after its initial release in 2016, his This House Is Not for Sale album flew back to No. 1 on the chart, when it was included with the purchase of concert tickets for his upcoming tour. Last fall, Chris Brown provided a less successful example of trying to game the charts. In an attempt to gain success on the Billboard 200, Brown urged his 40.5 million Instagram followers to separately purchase several copies of his new 45-track “Heartbreak on a Full Moon” album and to stream it on auto-play to rack up plays. The attempt failed to help the album breakthrough on the chart, but it did gain attention for exposing the loopholes in how the charts are calculated. These tricks are not new; almost every premium product includes an attached giveaway. They are just being reapplied in fresh ways in the music industry. At a time when album sales are rapidly declining, why not build the purchase of your album into the price of concert tickets that are high in demand? In addition to the artist collecting their performance royalties, the purchase is counted as a regular album sale, helping boost the album to the top of the charts and giving it extra exposure and credibility. This shift in strategy is a sign of the evolving times for the music industry, a business that has always been about pushing the boundaries and finding new ways to gain an edge. So, what’s next? What does this mean for the future of the Billboard Top 200 and the industry overall? Going forward, the industry needs to give a fresh look at how music is evaluated for the charts in order to ensure that rankings are done in a manner which fairly represents real No. 1 songs, not artificial manipulations. Reviewing additional data, such as trending the song on an album with the lowest amount of plays to see how many actually listened to the entire collection, may become necessary. Or perhaps it’s time to ultimately give less weight to album sales if bundling is able to make the charts so volatile and consumers are focused on streaming singles. Most of us remember saving up for an album, taking it home and reading the album jacket while listening to an entire album in one sitting. In contrast, the younger generation today doesn’t buy or listen to entire albums, they only download or stream key songs. Times have changed. Today’s new reality is that as the world moves to streaming, albums are disappearing, and we must all adjust to succeed in the music industry. Billboard’s charts are an essential, common thread and an invaluable metric for musicians as they seek to remain competitive and successful. As the data sets evolve, so too will the charts and the way the industry releases, markets and sells music. Article provided by, Alex Heiche, CEO and founder of Sound Royalties, a company working to transform the way that music professionals fund their creativity.